Using Arduino IDE for small projects just as blinking LED or reading from a sensor then manipulating a switch or a relay is an easy job. But if you need to use multiple sensors and outputting devices such as OLED screens or motors, it means you need to use sophisticated 3rd party libraries. Adafruit or U8GLib is a good example for this. 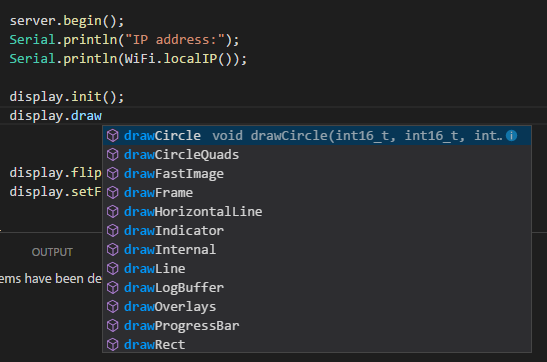 If you want to use your own code rather than copy & pasting other people's code you find on the internet, it's essential that you have intellisense. 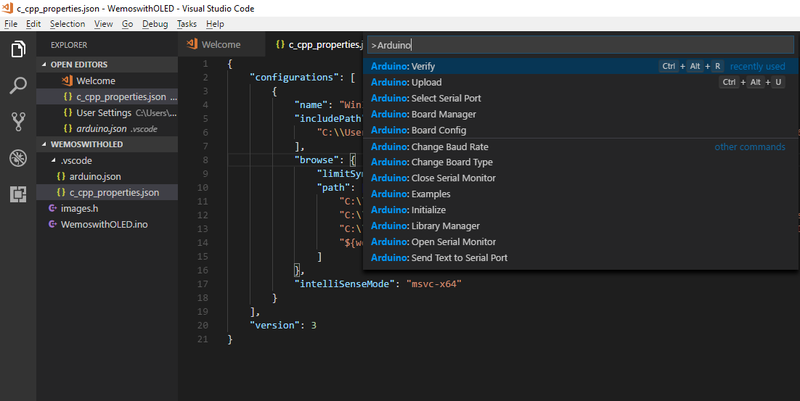 VScode is not a complete IDE, so we still need to have Arduino installed in our system. Then we need to install Arduino extension by Microsoft. If you hover over the light bulb icon, you will see "Edit browse.path settings" button. 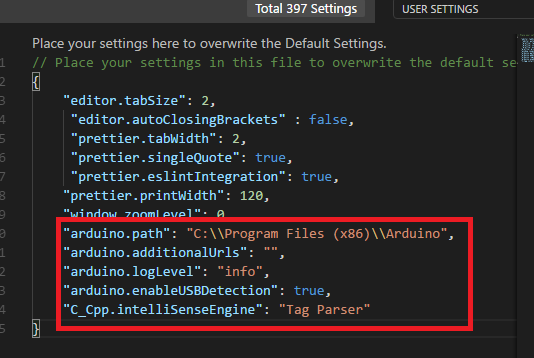 Clicking it will create a json file called "c_cpp_properties.json" under .vscode folder of your working directory. In this file you will need to add the path for all the .h files you use. If you click them and select your board and ports then you are set to go. But you won't see compile or upload options in the menu. You will need to click Ctrl + Shift + P to enable selection menu then click "Arduino: Upload" option to start compiling and uploading the code to your board.